Savannah State University celebrated the 100th year of Hammond Hall on Friday, January 23, 2015. The stone structure, located on Alexis Circle, was built by the faculty and students of the school and completed in 1915. The building was named for W. R. Hammond, a judge from Atlanta who was a member of the college’s board of commissioners for several years. Over the years, Hammond Hall has housed instruction for shoe making, home economics, industrial technology, and textiles. It is now the home of the Information Technology Office. 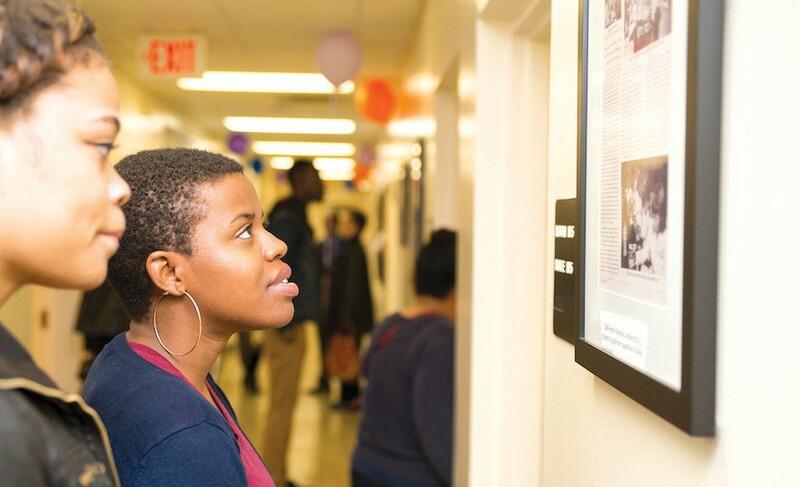 During an open house at Hammond Hall from 1 p.m. – 3 p.m., guests visited the building, viewed images and historical materials, and enjoyed light refreshments. Those alumni and retired faculty members who had classes in Hammond Hall shared their memories. Established in 1890, Savannah State University is the oldest public historically black college or university in Georgia and the oldest institution of higher learning in the city of Savannah. The university’s 4,900 students select majors from 27 undergraduate and five graduate programs in three colleges — Liberal Arts and Social Sciences, Business Administration and Sciences and Technology — and the School of Teacher Education.